Demand for housing in Vientiane is expected to boom over the next few years creating new opportunities for developers, according to real estate firms. Real estate managers are speculating growth in the housing market will take off when Laos becomes part of the Asean Economic Community in 2015 due to strong economic growth and a rising population. “Demand for houses and offices in Vientiane has been growing and will continue to increase thanks to increasing population and economic growth,” Rent and Buy Company Managing Director, Mr Houmphan Sayalath, toldVientiane Times . Mr Houmphan said the establishment of the Asean Economic Community in 2015 would see an influx of foreign investment and labour, which would increase demand for accommodation in Laos and in particular in Vientiane. He said local and foreign real estate firms in Laos were expecting to make big profits as a re sult of the economic integration. A number of businesses have purchased large areas of land in Vientiane, planning to resell or develop them for housing later. The price of land the city has risen sharply as demand has increased. Other real estate firm managers said the increasing personal wealth of Vientiane citizens was causing higher demand for land and houses. The average per capita in Vientiane is now above US$3,000 and is expected to continue rising over the next five years, agents said. One major residential development currently underway in Vientiane is Nonghaew village in Hatxaifong district. Developers are turning a 6ha area into housing for low and middle income owners. Once finished the project area will have access to water, roads and electricity. It will also be protected by a security guard. Buyers will be able to pay for their houses in installments over 10 or 30 years in a bid to attract middle-income earners. They will be able to pu t down a 50 million kip deposit then pay around 1.5 million kip each month for 30 years until they eventually own the property. The project developer said almost all the houses had been occupied and the company was now looking to develop a second site in another village. 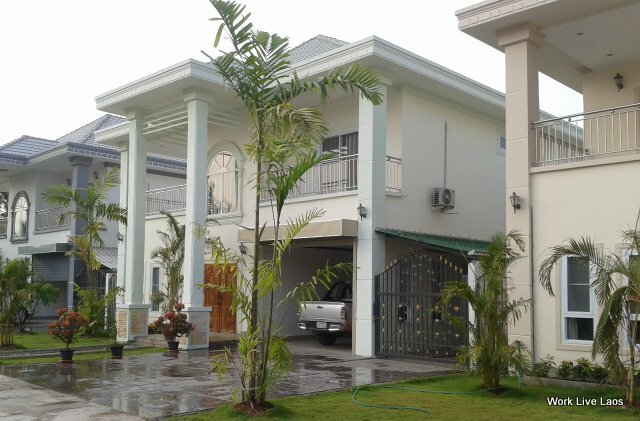 More and more Vientiane residents are becoming home owners as the average income in the city rises. A civil servant now receives a salary of about 1.3 million kip each month and the government has promised to increase the salaries of state employees every year until 2015. The government is examining its policies on Lao expatriates’ land ownership rights in Laos so those returning to their mother country can have a place to set up a permanent life. Ministry of Foreign Affairs Department of Lao Overseas Affairs Director General, Mr Thuan Vorasarn, spoke to Vientiane Times last week about possible changes to land laws related to Lao expatriates returning home. “The department has proposed to the related authorities to include the issue into their considerations for the draft National Land Policy and for the amendment to the Law on Land,” he said. Mr Thuan said about 160 former Lao residents had asked the government for permanent residency in Laos since 2011, 49 of whom had been approved. The rest are still under consideration. The government receives applications through Lao embassies in foreign countries and through the department in Vientiane. 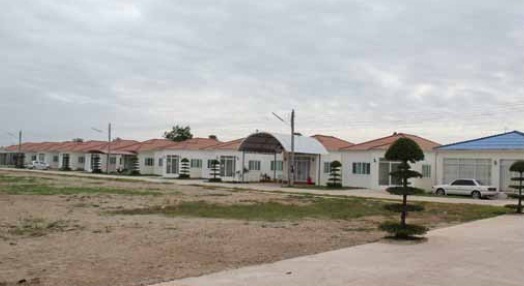 While Mr Thuan would not elaborate on possible policy details, he said it was logical for people to have land ownership rights once the government had approved their permanent residency. He said the Party Central Committee Secretariat resolution on Lao Overseas Affairs called Lao people living abroad “inseparable” from the nation and saw their potential for national development. Mr Thuan said there had be en a gradual improvement of government policy related to Lao people living abroad in recent years, including extending free-of-charge visas to visit the mother country from one month to three months . Visas can be extended for free. About 80 percent of the 500,000 Lao people living abroad hold the citizenships of their new home countries. Mr Thuan said no expatriates had asked to return to their original nationality but many had enquired about the government’s policy on the issue. Under Lao law, foreigners and former citizens can be granted permission to live in Laos permanently under certain conditions, with their rights and interests to be protected by Lao law and the international conventions and treaties to which the country is party. The policy also defines the conditions of and procedures for applying for permanent residency. Mr Thoun said the Party resolution appreciated Lao expatriates who remained proud of their former-nationality, their love for their mother country and relatives, Lao customs and culture and their contribution to the nation’s development. I believe most laotianes oversea would like to go back to mother land Especially the old people when they get tire of living in their current country and I hope lao government give us fairs of living. awesome blog! i want to share my experience with you guys if you are looking for apartment or room for rental or wants to rent out out your place have you tried PlaceMatch Singapore . i found it to be useful in finding my place.hope that helps!! This article was written in 2013, is there any update since?